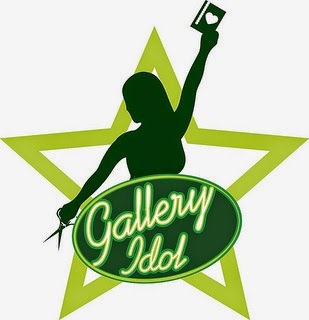 I decided that it was time to give a go for the Gallery Idol 2014 auditions! As the flickr gallery grew larger and I saw there was so much talent there I wasn't sure if I should, but I took a bit of my own advice that I have given other's this year and said "I have nothing to lose"! The audition challenge was to use washi tape in a creative way. I knew right away I wanted to die cut something from washi so I chose some vibrant colours and started by die cutting the Love Notes Confetti Cut frame from Reverse Confetti, adding the centre from Class Act and banner from Tag Me. 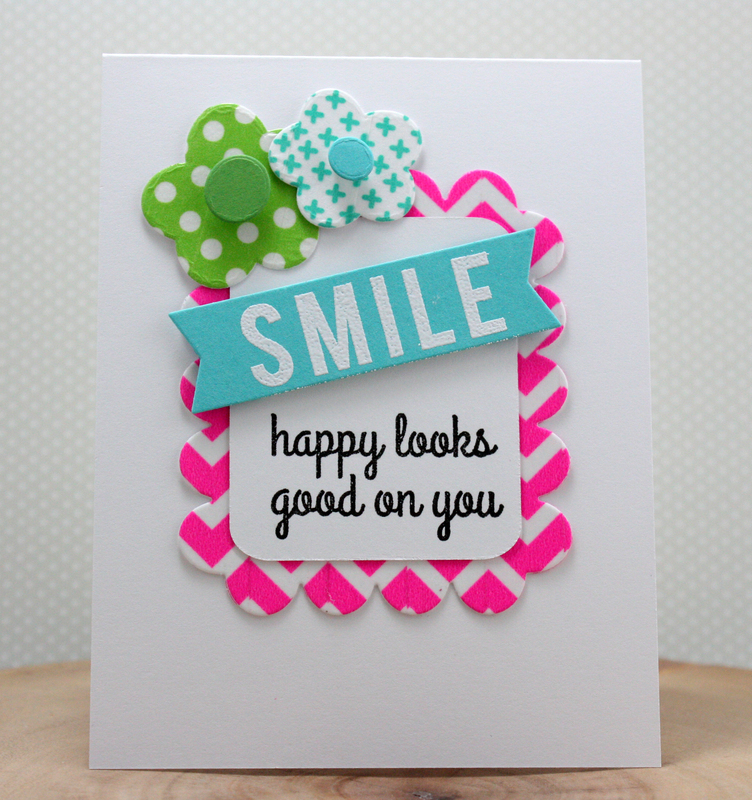 The sentiment is from the new You Make Me Smile set! I finished it off with two washi die cut flowers from Petals n' Posies. So here is my washi card audition. Good luck to all of the other auditions in the 2014 Gallery Idol Flickr Gallery! Way to go for entering Tracey! This is adorable! Love how bright and cheery your card is with the perfect design touch. Super cute card Tracey and good luck. Love the bright colors and mix of patterns! Great card Tracey, great use of Washi. Good luck! Good luck Tracey!! It's adorable. LOVE it, Tracey! Good luck! Love the bright colours and great sentiment. Good luck! Each year I'm tempted to try out for Gallery Idol. And each year I don't do it. One of these years I'll get up the nerve to do it! I'm thrilled that you're giving it a go. You are so very talented!!! Bright and fresh and again a great design (reminds me of your popsicle cutie). Aren't those the cool new Colour Q colors too? Love 'em. Go for it girl this is adorable! Good luck!! So glad you followed your own advice, because the card you've shared here is nothing short of fabulous! Fun, perky, vibrant; guaranteed to catch the judges' attention for sure! Rootin' for you!! Great use of washi tape! Best of luck to you! Good for you! I thought about it and never found the time to make one. This is a beauty ! Love the bright colors Tracey. Nice work… good luck! Good luck to you! It makes for a very lovely fun card with great use of the washi tape! This is fabulous. I hope you make it. You should because this is a fabulous card, and you are scary talented. Can't wait to see your name in lights. Good luck, Tracey. You always do amazing work as exemplified by this colorful and well designed card. So glad you decided to enter! Your card is fabulous--love the fun design and bright colors. Wishing you all the best! You are going to make it...I know it! Yay! awesome washi card Tracey! Bright, fun & Happy! Good for you to join in Tracey! this card is marvelous with the bright colors and fun way to use washi tape! Good luck! Way to go for it Tracey! Great card...colors are bold and style is your signature CAS. Good luck! Reverse Confetti Release Day Blog Hop!